Community Power Network is not about selling the cheapest equipment. It is about delivering the best sustainable solution to protect against escalating electricity prices. Future-proofing requires world-class quality for products, systems and installation with a lifetime horizon of at least 25 years. By joining Community Power Network, you gain the best products at discounted prices – all thanks to the power of the community. Real, lasting benefits for everyone. Stronger pitch - "Move here where we can offer you cheaper electricity." Products & services you can trust. Switch to a fairer and easier system and leave escalating prices behind. When you join Community Power Network, you are allocated an annual power allowance which depends on the size of your system and applicable plan. For the first 24 months, the cost of power is $0. After that, you pay a low monthly administration fee. You can leave at any time after those first 24 months and, if you use more than your allowance, you will only be charged for the excess consumption at a low competitive per kWh energy rate. 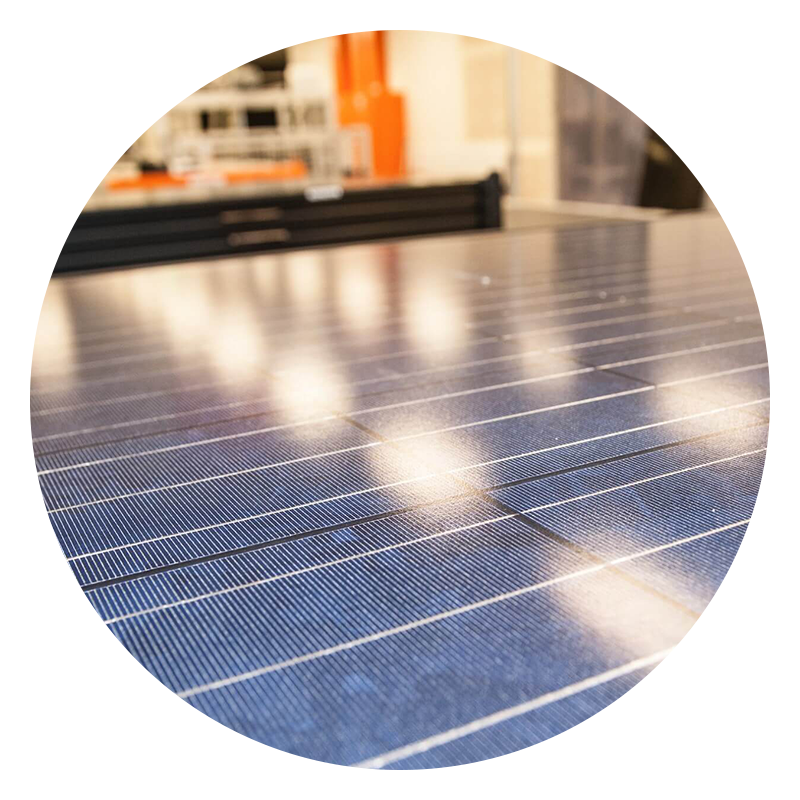 World-class Tindo solar panels are manufactured in South Australia to uncompromising quality standards. They were developed and tested with the participation of the Australian National University in Canberra. Tindo Solar panels lead the market in quality, solar efficiency and good design, with the Karra-295W PERC monocrystalline panels fitting more power into less space for a comparable price. Tindo Solar panels feature a 25 year performance guarantee plus a customer friendly, easy to understand product warranty of 12 years. There is also a 5 year warranty on installations by Cool or Cosy, the number one solar system installer in South Australia. Cool or Cosy's installation crews and our Australia-wide installation partners are all fully licensed and endorsed by the Clean Energy Council. If you already have solar panels, you can connect to Community Power Network by adding a sonnenBatterie to your system. To connect to Community Power Network, you will need a sonnenBatterie. sonnenBatterie is a complete system, housed in one easy-to-install unit. Comprising the best quality battery modules, efficient inverter, intelligent energy manager and software, it makes energy storage and management simple. As well as storing excess solar power for use at night, its Smart Energy Management software manages your energy intelligently throughout the day. Using the sonnenApp for smart phones and tablets, you can track your consumption and battery levels, as well as turn on and off any devices connected to Z-wave Power Adapters. The sonnenBatterie features a 20 year design life and an industry leading warranty. The sonnenBatterie is guaranteed for 10,000 cycles or 10 years, including multiple charges and discharges each day, before its storage capacity diminishes. sonnen also allows energy to be returned to the grid, enabling Community Power Network to become a reality. Solar is better for people & the planet. Switching from fossil fuels to renewable energy is good for our health, with immediate benefits. When coal is burned, it releases hazardous pollutants into the air. These pollutants include particulate matter, carbon dioxide, sulphur dioxide, nitrogen oxides, mercury and arsenic. These can affect the circulatory system, respiratory system, nervous system and other parts of the body, causing serious health effects. By rapidly decreasing our dependence on fossil fuels, we can improve air quality, subsequent water quality and our health in a very short time. Nitrous oxide and carbon dioxide both contribute to the greenhouse effect, which is when the atmosphere traps the heat radiating towards space. Both of these gases are produced when fossil fuels, such as coal and gas, are burned. This consequent warming of the planet impacts on how we live – from changing which crops will grow productively, to how much rainfall we do or don’t receive, to rising ocean levels impacting vulnerable islands and their communities. The sooner we eliminate fossil fuels from our energy stream and switch to renewables, the better for everyone around the world. It’s time to stop taking from our planet and switch to renewables. Using solar, a naturally replenishing source of energy, makes sense today and forever.